Los Angeles (June 22, 2016)— It’s been said that lightning never strikes the same place twice. However, it does in the case of Tesla. The band is thrilled to announce the release of a live recording of their classic album, “Mechanical Resonance LIVE!”, celebrating the original multi-Platinum record’s 30th birthday in style. With a few surprises up their sleeve, including the single “Save That Goodness” written and produced by Phil Collen of Def Leppard, the album will be released on August 26th (Tesla Electric Company Recordings/Mailboat). Click HERE to listen. The record is being released in conjunction with Tesla’s summer tour opening up for Def Leppard, where they will perform in front of over half a million fans. Please see full tour routing HERE. Over the course of their thirty-year career, which started in 1986, the iconic Sacramento melodic hard rock quintet—Frank Hannon [guitar], Brian Wheat [bass], Jeff Keith [lead vocals], Troy Luccketta [drums], and Dave Rude [guitar]—has sold more than 25 million albums worldwide and played to sold out crowds across the globe, their three albums that followed “Mechanical Resonance” all went multi-Platinum. To say Tesla live is absolutely bombastic is an understatement, they are a hard rock band to beat all hard rock bands. The 21st century has become something of a renaissance for Tesla. Most recently, 2014’s Simplicity bowed at #14 on the Billboard Top 200. The group ignited ABC’s Jimmy Kimmel LIVE! in addition to scorching stages at festivals such as Rocklahoma, Graspop Metal Meeting, and Sweden Rock Festival as well as the cruise Monsters of Rock! 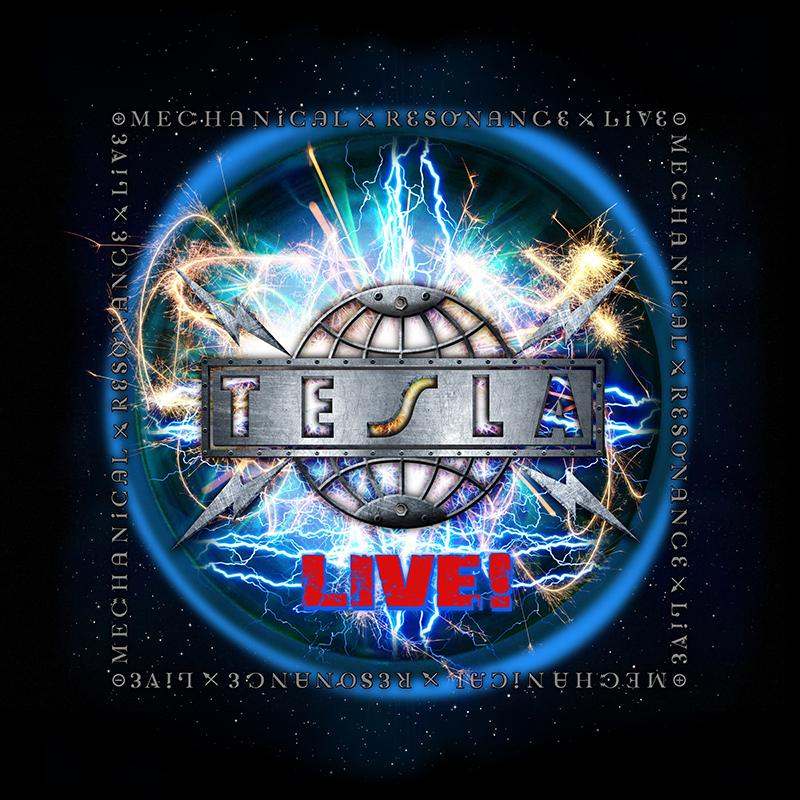 As they prepare to cut their ninth full-length album with Phil Collen in the producer’s chair, Tesla takes another monumental leap forward as they glance back on Mechanical Resonance Live!